Advances in technology do not only mean new products and discoveries in the digital world, but can mean new developments in other sectors too. In particular, the construction and design sector has seen some interesting new products and materials to be used in properties and businesses worldwide. One specific product worth mentioning is engineered wood flooring. When one thinks of wood flooring, it is a rare thought to think of anything else than exactly that: a piece of wood used as flooring. But with advances in material technology, structurally viable and aesthetically pleasing options are becoming more available to professionals and the general public. Available in the market today are two distinct types of wood flooring: Engineered, and Solid Hardwood flooring. While both undoubtedly have their merits, we will be discussing the functions and benefits that engineered wood brings to properties. In many instances engineered wood flooring can be indistinguishable from solid hardwood flooring, as its design involves a layer of real hardwood at its base, supplemented by a high-quality sheet of plywood or other synthetic material. This gives it better moisture retention and flexibility than solid hardwood, and is easier to manage. As this type of flooring is much easier to install due to the high number of available options as opposed to traditional wood floorings, you can be much more flexible in your dimensions, as this will be easier to shape according to your specifications as well. As for specific rooms, engineered wood goes well in any living or utility space due to its flexibility, and can take additional stress if treated after installation. Regardless of where it is placed, engineered wood can retain its value on par with its traditional countertype, as you are able to market any rooms fitted with it as having wood floors anyway, as you satisfy the technical requirements by using real wood on the surface. 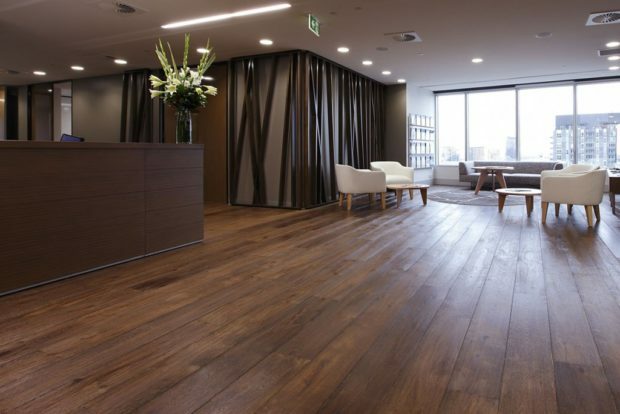 Engineered wood flooring shines wherever traditional flooring options are too rigid and harder to modify. It can be sanded just like solid hardwood floors to achieve your desired finish, and can hold up fairly well to traditional options in terms of durability, while retaining that same versatility. These reasons are often mentioned when highlighting how engineered wood is seen as the more practical and functional solution to wood flooring needs, as it keeps its value and quality, can be adjusted and also modified at much lesser stress and cost, and is a viable option in more spaces than traditional methods. Overall, the main highlights of engineered wood are seen in its versatility and overall quality and durability, in its ease of installation, and the wide array of options available on the market today. As more options are being developed and becoming more available in different markets, it has steadily grown in popularity. Where once it was a rarely used material, engineered wood is now as commonly seen as its traditional counterpart, as it has paved the way for its use in what were before unconventional and unviable spaces. Its functionality is such that it truly does work wherever you want, and can keep up with structural and aesthetic standards to boot!